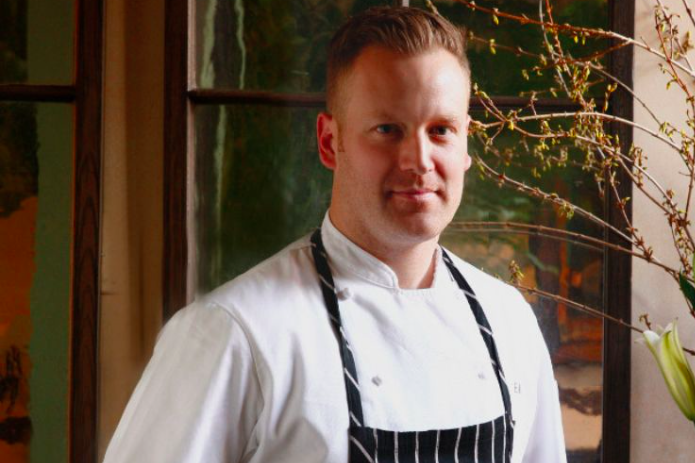 After two months of silence, Fork chef Eli Kulp is speaking up about the crash that's reportedly left him in a wheelchair with limited use of the hands that helped make him famous. Kulp, who owns High Street on Market and Fork in Philadelphia, was severely injured in the May 12 Amtrak derailment that killed eight people and injured 200 others. Kulp has largely been quiet about the subject but opened up to the New York Post this weekend. Uncovered as part of that interview was a hazy prognosis from the doctor that doesn't look promising for the chef's return to the kitchen. Kulp has a long road ahead with an uncertain prognosis. The chef, who had emergency surgery to stabilize his neck after the crash, is currently unable to move his legs and has limited movement of his arms, according to the New York Post. Kulp recalled the moment the crash happened, an evening journey back to Manhattan so that he could hit the pillow in time for an early morning workout. “I just started CrossFit and I wanted to get home a little earlier cause I had to get up early for it,” Kulp told The Post. A few minutes into his commute home, Amtrak Train 188 sped through a curve at 106 mph at Frankford Junction in Philadelphia and derailed. Kulp, 37, who was seated in the second car and had been reading e-mails on his phone, suddenly was airborne. “I flew across and hit the opposite luggage rack with my neck and then all that sort of flaps on top of me,” he told The Post in his first interview since the May 12 tragedy that killed eight passengers and injured more than 200. He was pulled out of his cabin by a man who was working just to get passengers out of the train as quickly as possible -- "not a get-the-neckboard-and-braces" kind of rescue, Kulp said. Last week, at a fundraiser event held at Fork, friends and family raised $130,000 to cover Kulp's medical expenses. Amtrak is no longer covering his medical bills as of June 20; Kulp has filed a negligence suit against the railroad company. Amtrak, for its part, has said it will not fight cases seeking damages associated with the event. Kulp expressed that he will continue with his plans to open High Street on Hudson in New York, his latest eatery. Another fundraiser for Kulp is being held Monday evening in New York. Read the full interview with the New York Post here.